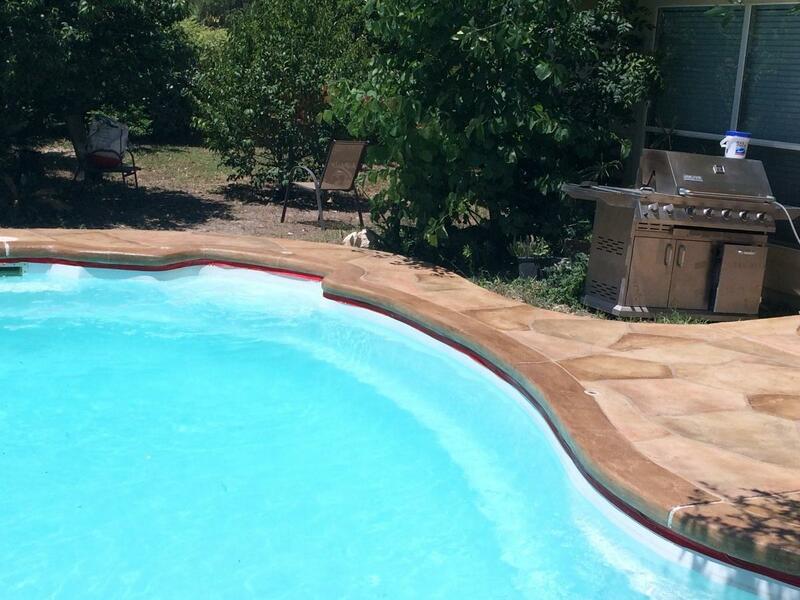 As the months grow hotter, the water in your pool starts to look more and more appealing every day. But what about the pool itself? When you’re relaxing next to your pool in the beaming summer heat, you want to enjoy what you see, and not have to worry about an outdated appearance or potential safety hazards. 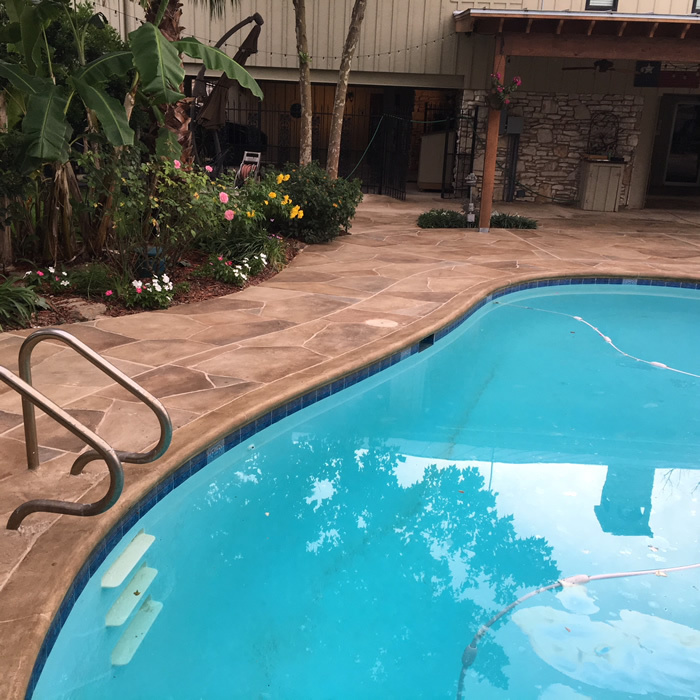 That’s why the folks at Texas Premier Coat Resurfacing are around, to be sure you’re satisfied with the beauty and integrity of your backyard paradise. 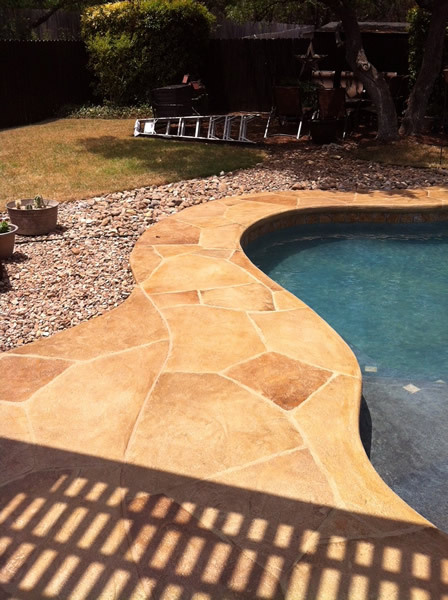 We’re Austin, TX’s, premier craftsmen when it comes to enhancing your pool in all the right areas, including your wallet! 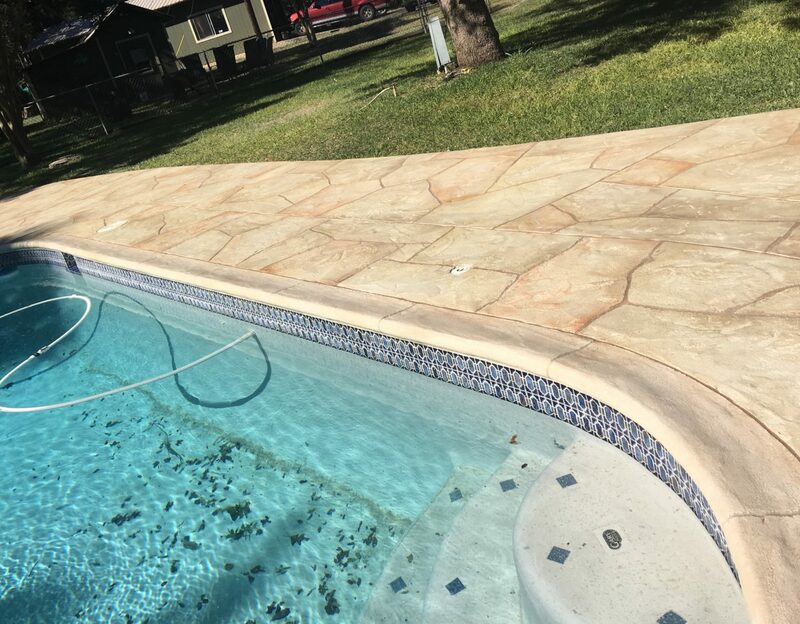 Adding a clean, visually striking coping to your pool will add to your home’s inherent value, as well as the personal satisfaction of the current owners involved. 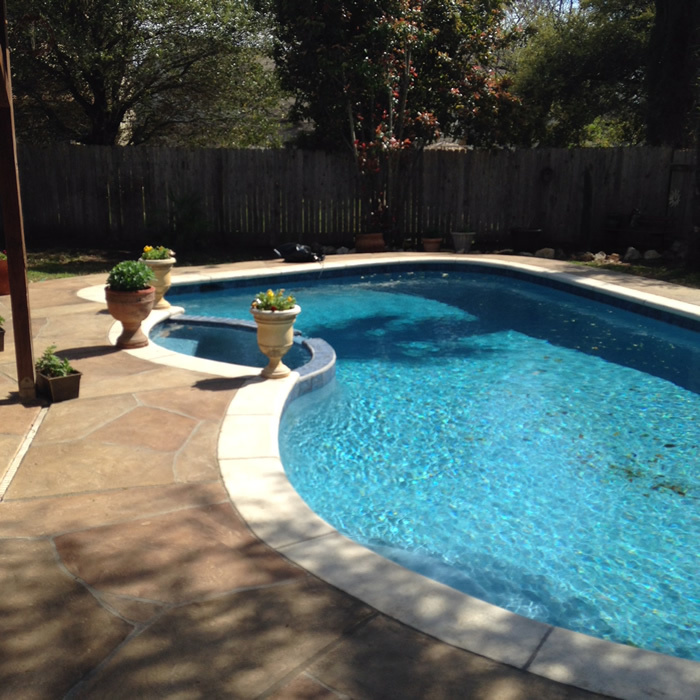 Make your pool a sight to behold and give us a call. 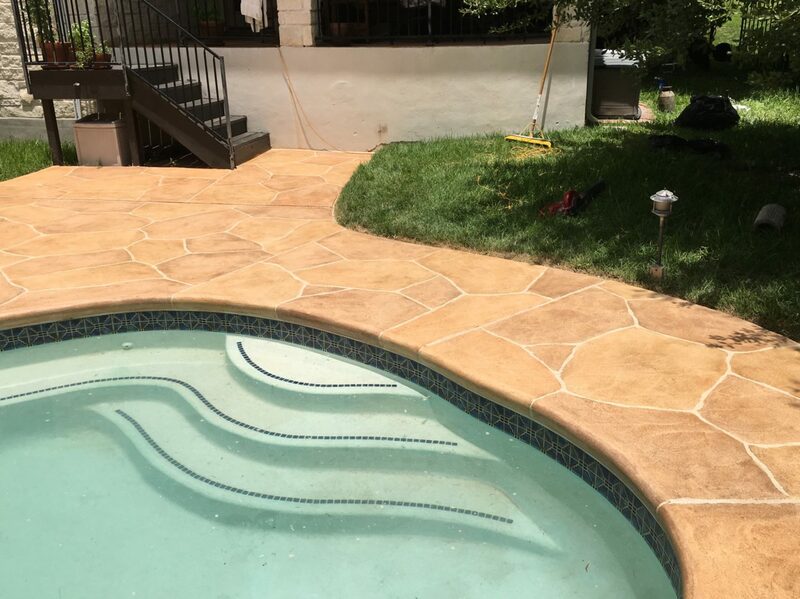 It’s more than a little upsetting when a drab, ugly coping detracts from the otherwise enticing beauty of your sparkling pool. You want to get relief from the heat with style, and we’re here to provide it at an affordable cost. What is coping? 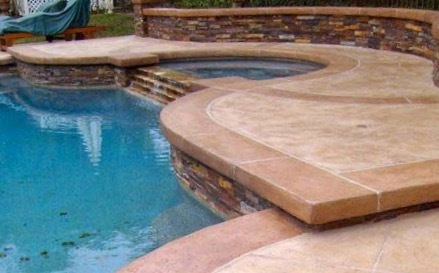 It’s the concrete or stone edge, or cap, sitting around the rim of your outdoor pool. The coping is a structurally vital component, as it separates the water from the rest of the pool construction and its adjoining surfaces. 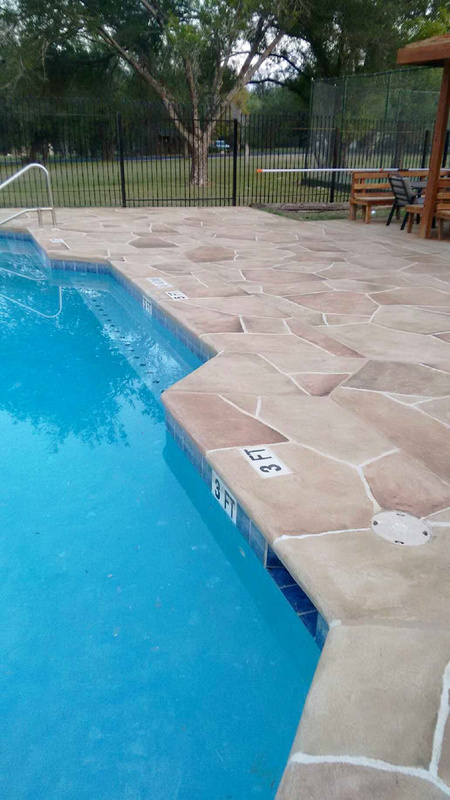 Coping is also a built-in safety feature, providing a non-slick surface for swimmers to walk on, reducing the risk of dangerous trips or tumbles. The coping is at the heart of how a pool functions, and it’s only appropriate that it looks just as influential as its purpose. 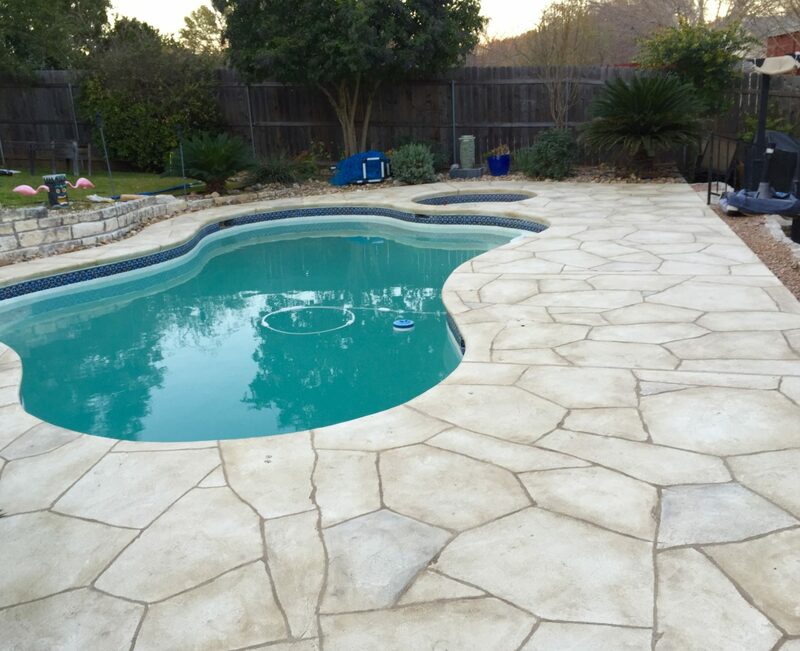 At Texas Premier Coat Resurfacing, we offer customers a wide variety of ways to enhance the look of their coping. Traditional or modern stylings are all up for you to decide, and should be considered based on your preferences and overall design goals. 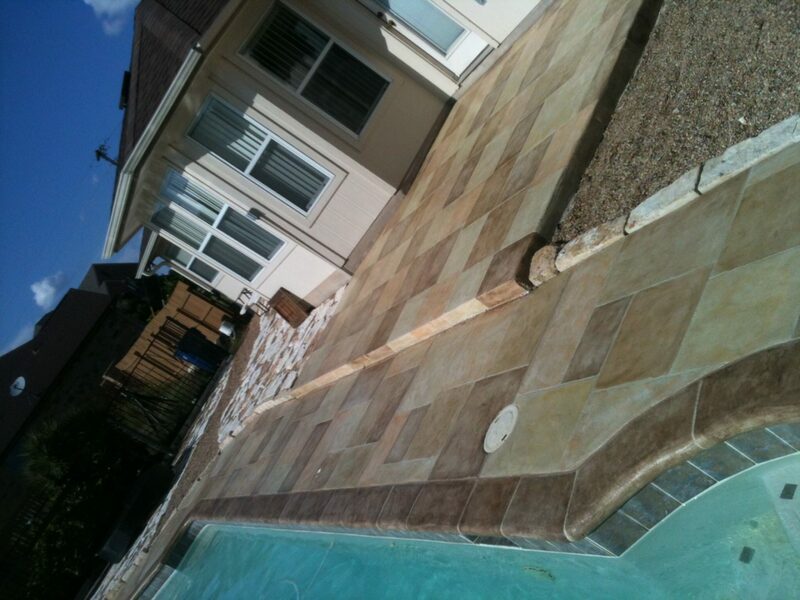 Some of the various styles we offer include bullnose, drop-down, square edge, and tumbled. And if you’re inclined, it’s completely possible to add a seamless extension between the rest of the pool area and the water. 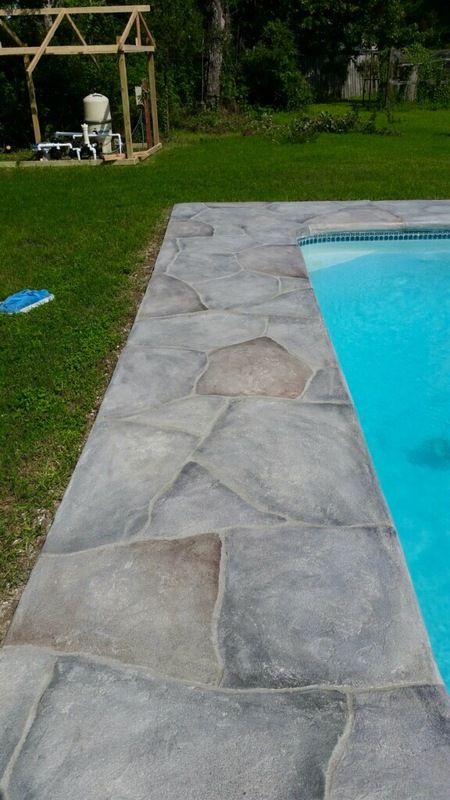 In addition, our decorative edges are able to be made from numerous materials such as tile, concrete, and stone masonry, so your options are never limited when working with us to improve your pool to the utmost. 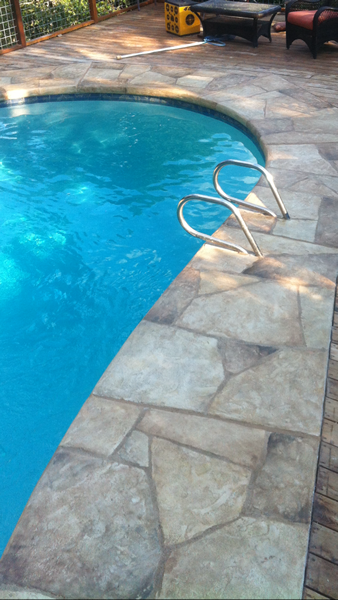 Why decorative coping for your pool? 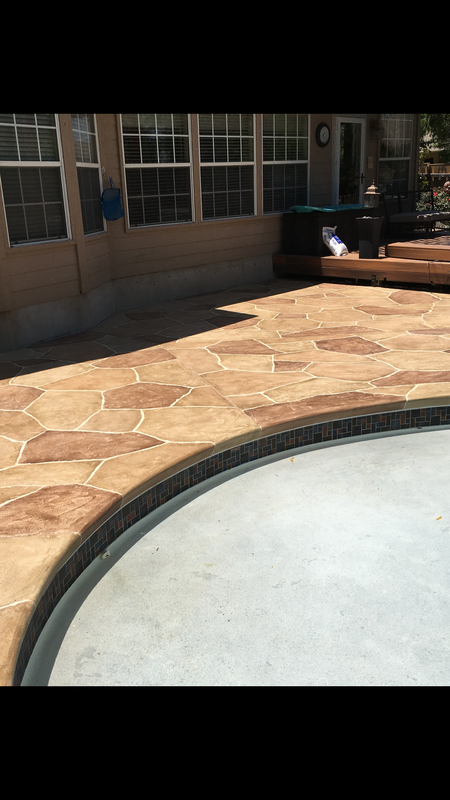 Enhancing your pool with decorative accents will not only supercharge the quality of your home’s beauty, but also the quality of your life. 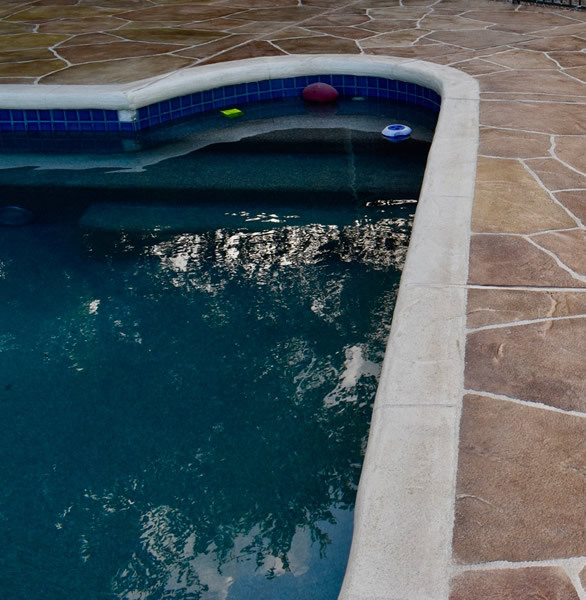 An artisan-crafted, well-maintained pool is always something to be proud of, and a decorative coping only adds to that sense of fulfillment, knowing you’ve gone above and beyond to make your pool look as good as it can. 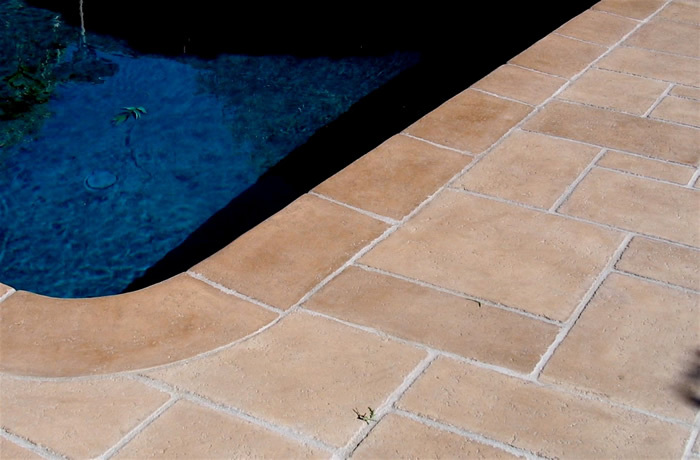 From the heat-absorbing hardiness of natural textured stone to color-stained limestone, we have all of your solutions for enhancing the value of your home with decorative pool edging. 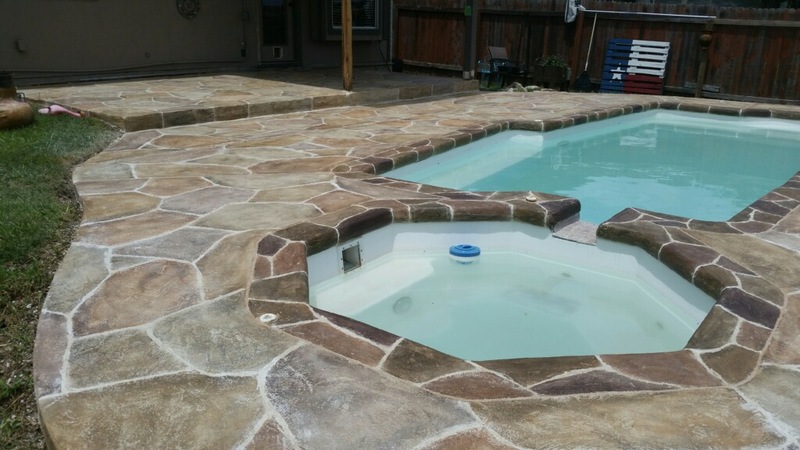 Contact us at (512) 461-4836 for more information and receive a free estimate on our coping enhancements.